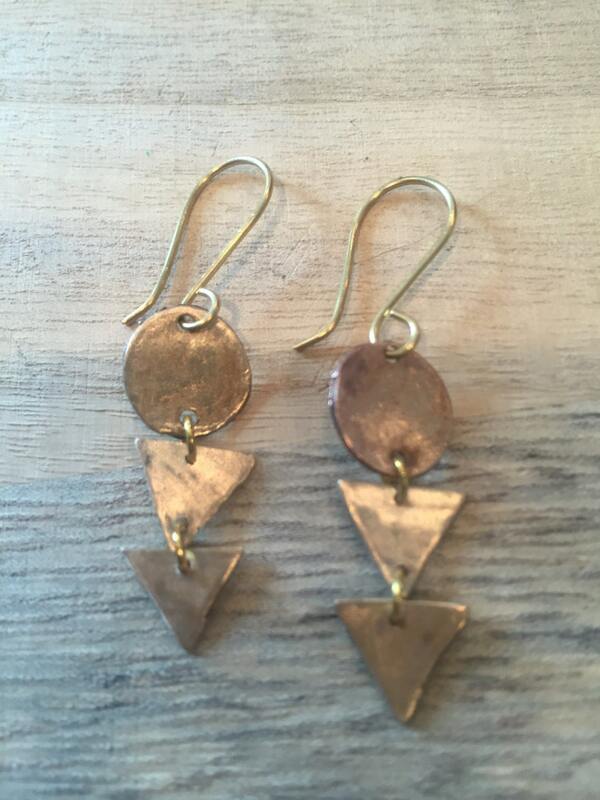 Handcrafted geometric shape bronze dangle earrings. Earrings measure approximately 2 inches long. Each of the three small medallions are approximately 1/4" each.